Painting To Gogh's (from left) Jessica Hess, Vikas Chokshi, Benjamin Ober and Shashin Patel. 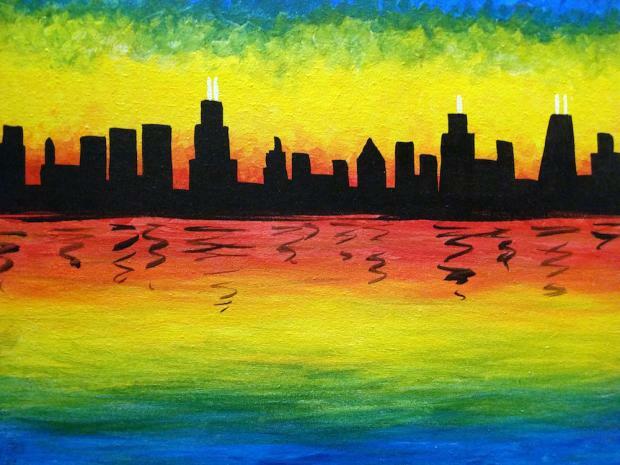 CHICAGO — Jessica Hess wouldn't mind becoming the modern-day Bob Ross. Hess looks nothing like the late poufy-haired, bearded PBS artist, but her mission is the same: Teaching people how to paint. Hess, of Irving Park, is part of a new online company — Painting To Gogh — that ships paints, supplies and a Web link to an instructional video of her creating acrylic paintings. "It's really to exciting to realize I am virtually helping people create their own masterpiece," Hess said. In about two hours, according to co-founder and River North resident Vikas Chokshi, people can learn how to make their own artwork. "Most of our customers are everyday people who haven't painted in a long time," said Chokshi, an Albany Park native and Von Steuben graduate. "People are looking for different things to do from the convenience of home. They don't have to go anywhere." Chokshi founded Painting To Gogh with fellow Von Steuben alumnus Shashin Patel, of Wicker Park. For the past five years, Chokshi and Hess have owned Bucktown-based Arts n Spirits, 1921 N. Damen Ave., which hosts painting classes. The business, which Chokshi and Hess started together after leaving their corporate jobs, has been so popular that they decided to expand into the online market with Painting To Gogh. Chokshi said the company has shipped about 50 kits across the country. Starter kits, which also include a reusable aluminum easel, are $45, while additional kits are $30, Chokshi said. 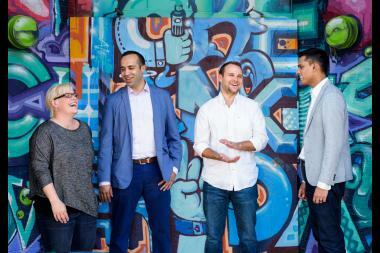 "Our goal is to empower people and give them the materials needed to create their own work of art," Patel said. "We are excited to offer a brand new, engaging and fun activity that anyone can do."